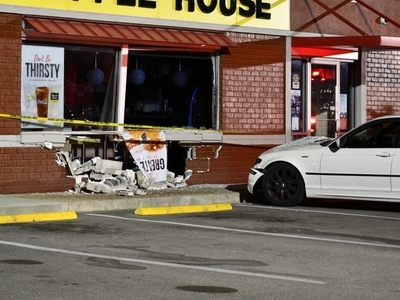 A 45-year-old man was charged with driving under the influence after he crashed his BMW into a Waffle House restaurant in the Tampa Bay-area early Thursday morning. 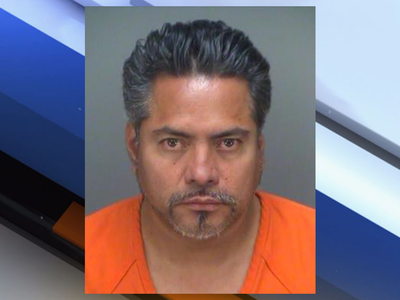 Pinellas County deputies responded around 1:10 a.m. when Isaias Garcia crashed his 2003 BMW sedan into the north side of the Waffle House at 7670 Starkey Rd. in Seminole, Fla. Witnesses told deputies that Garcia was driving southbound through the parking lot when he crashed into the Waffle House. Deputies say Garcia refused to perform a field sobriety test, but submitted a breath sample that indicated he had a BrAC of .165/.158. Garcia was arrested and charged with one count of driving under the influence with property damage. The business was open and serving customers at the time of the crash, but no one inside was injured. According to a deputy on scene, a Waffle House district manager responded and called a company to board up the business. The restaurant could re-open for customers sometime later Thursday.